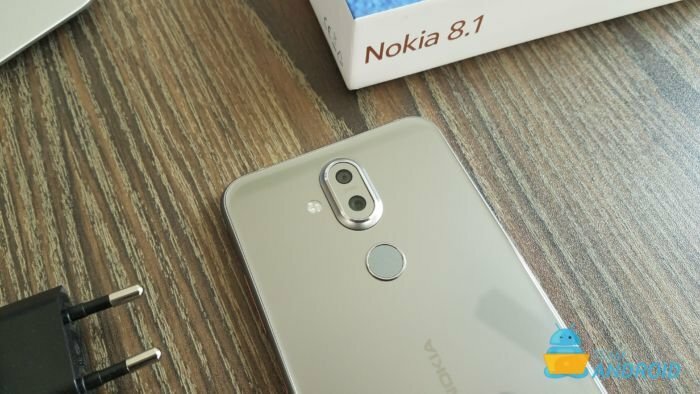 The new Nokia 8.1 Plus has been fitted with some great hardware such as minimal-bezel PureView display, Dual Lens ZEISS Camera with AI and a great design. Internally, there is a Snapdragon 710 powering the smartphone, 4GB of RAM and 64GB of storage. Further, as Nokia 8.1 is an Android One smartphone, performance should be on par with all competitors. We can’t wait to test it extensively and share our complete review, till then do enjoy this complete Nokia 8.1 unboxing experience. 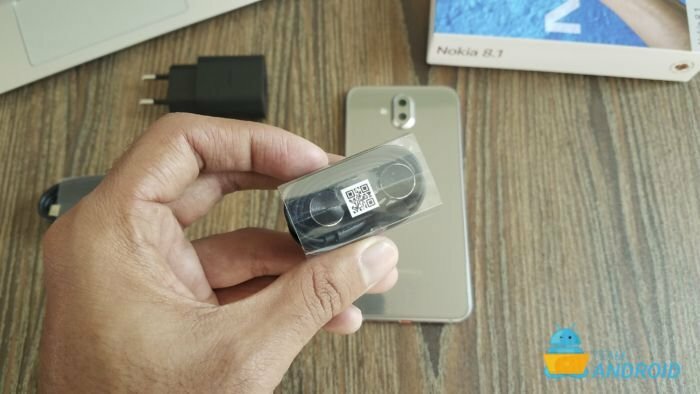 Beginning from the packaging, Nokia 8.1 is wrapped in a box which has more width than depth, something HMD Global does for all its phones to stand out. 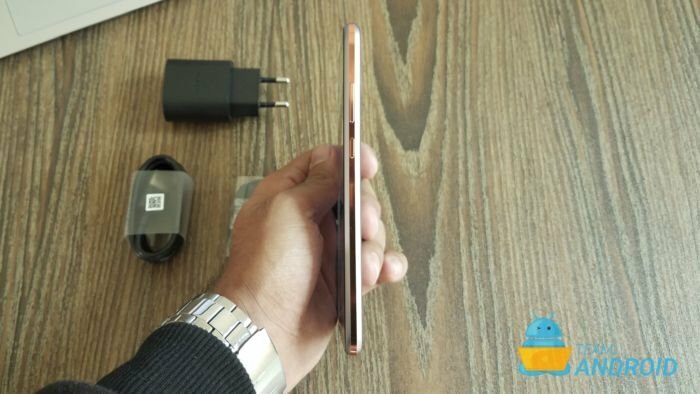 The box also features the front silhouette of Nokia 8.1 alongside a large joining hands picture. As for the back, the key hardware details are listed and a complete device illustration is shown. Now, as we begin to unbox and start to remove the top half, we are met with the device on the right side and a cardboard box on the left. There is a plastic wrapping on the phone which also has this bottom tab that helps to take out the phone. Our unit arrived in the stunning Steel/Copper color which has this nice copper trim along its borders. Setting the phone aside, there is a SIM ejection tool right within the phone’s cardboard holster. After removing the holster, there is the standard set of literature which includes quick usage guides and basic information. That completes it for the right partition and now, we can take out the cardboard box which came with the phone as well. Within this box, there are three accessories: Fast Travel Charger, USB Type-C Cabler and also a standard pair of headphones. 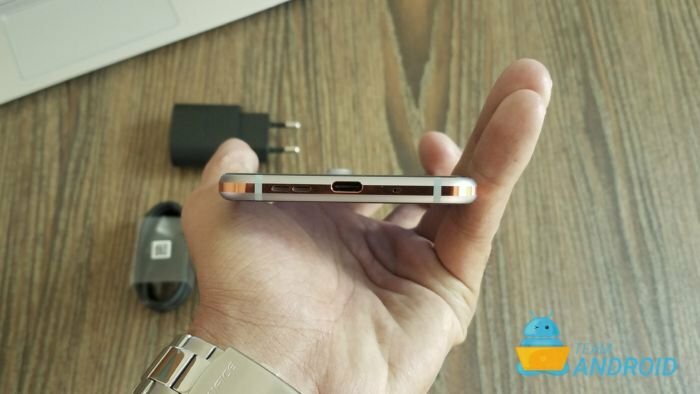 Yes, the Nokia 8.1 does come with a headphone jack which is a big plus! 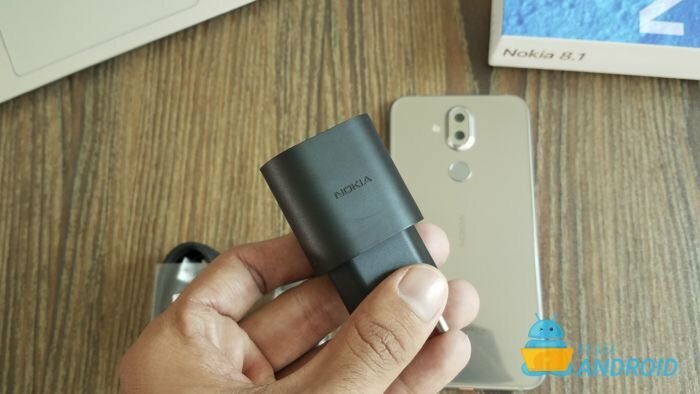 Circling back to the device, Nokia 8.1 surely feels premium and that’s something HMD Global does so well! We had similar to say about the Nokia 6.1 Plus which is a step down from the 8.1. 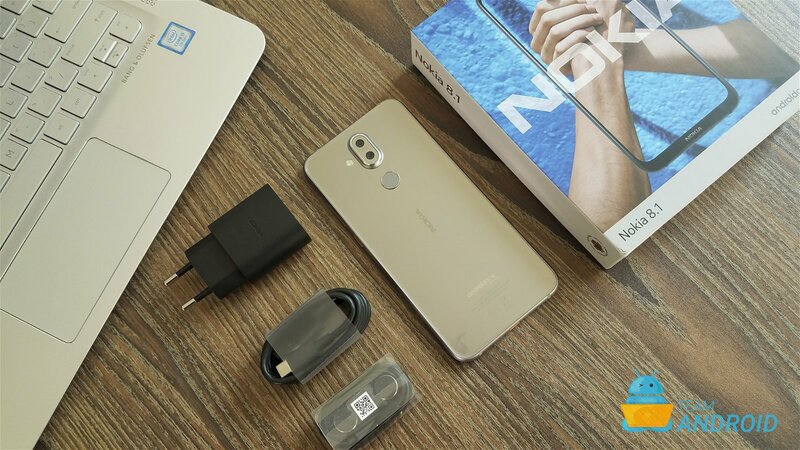 Further, PureView display and ZEISS dual-lens rear camera system with AI are few key features we would be testing thoroughly in our full review. Summing up the initial hardware impressions, this phone nails the design. Without using flashy gradient paintjobs, HMD Global has managed to make the Nokia 8.1 feel premium, classy yet modern at the same time — which we absolutely love! 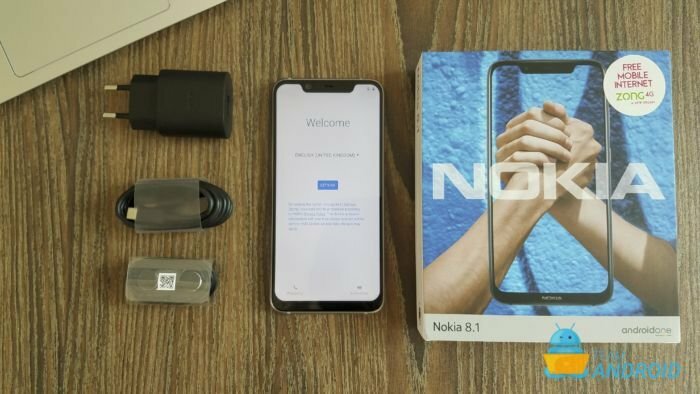 Watch our complete Nokia 8.1 Unboxing Video. 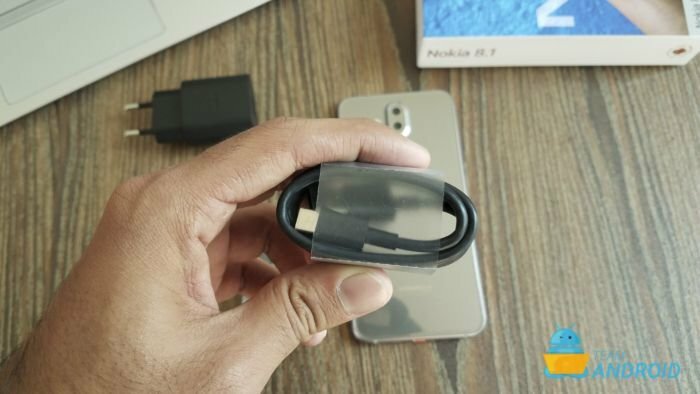 Ahead is the complete list of items that ship with the Nokia 8.1. 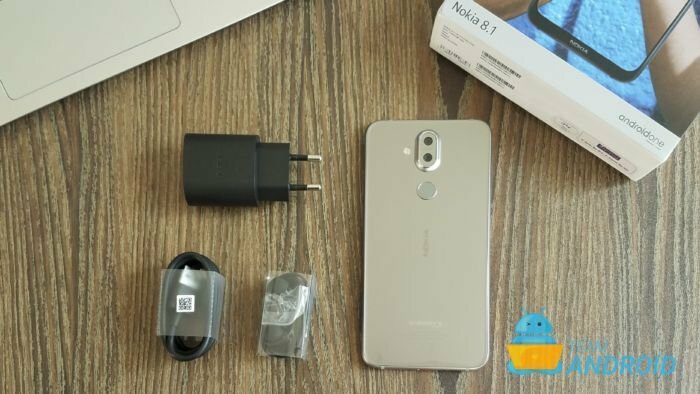 Find ahead detailed specifications for the Nokia 8.1. 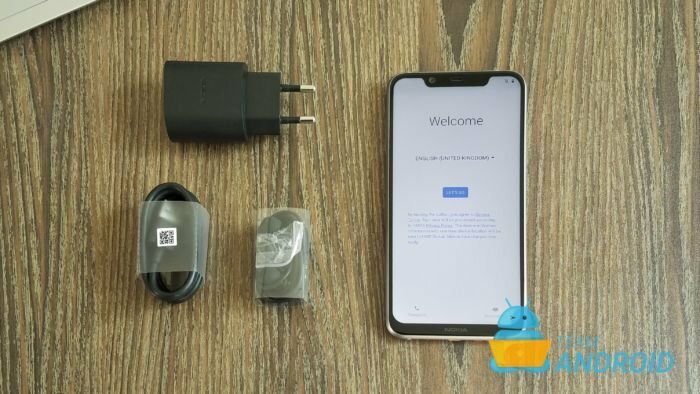 Now that we have unboxed Nokia 8.1, we will start taking it through its paces and come back with our complete and detailed user review quite soon so stay tuned to this space for that!